From its barbecue to its wide open spaces, Oklahoma is a popular destination that people look to visit. Whether it be for reasons related to their job or family, some even decide to make this state their forever home. Oklahoma is filled with numerous attractions, so there is always something to do and see. No wonder over 3 million people reside here. When people decide to move to the state, they must consider how they will get all their belongings to their new home. This includes their car. We understand that moving can be a challenge, but it does not have to be. 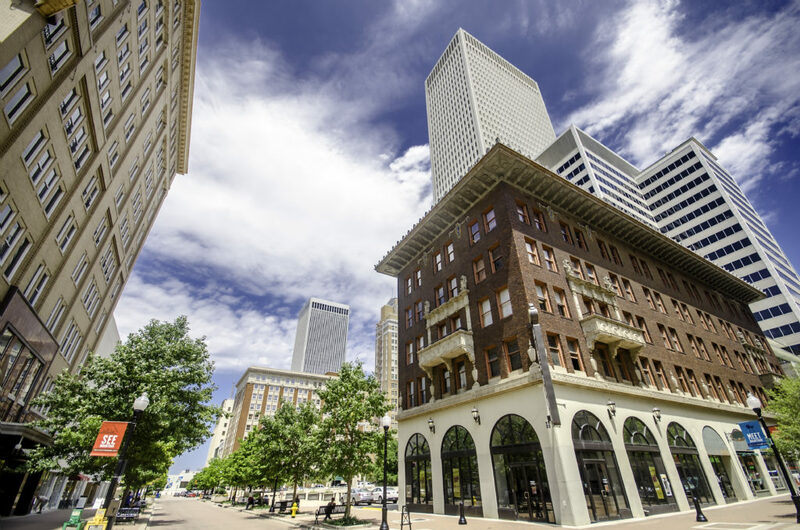 Count on us to assist you with your move by providing hassle-free car shipping services to all of Oklahoma’s major cities, including Tulsa. Car shipping is easy, fast, and stress-free. What’s not to love? Below, you will find a few of the car shipping services that we provide. Door-to-door shipping is the best option for those who want minimal hassle and added convenience. Upon booking auto transport services, you will provide us with the pick-up and delivery locations. After that, we will do the rest, leaving you to sit back and relax. The driver will come directly to your residential home or corporate address to load the vehicle onto the carrier, as long as the streets are easy to maneuver. In some instances, door-to-door shipping is not possible for safety reasons. Narrow streets, low power lines, and more can present a problem for the transport truck. If this were to be the case, then you and the driver would decide on a local meeting place, such as a large parking lot. Learn more about Door-To-Door Auto Shipping. 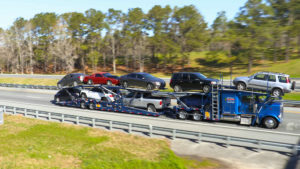 For the least expensive method of auto transport, open auto shipping is your best option. Not only is it easy on the wallet, but it is a fast and safe form of auto transport. A typical open carrier can carry up to nine vehicles at one time. This reduces time and resources, such as gas, making it less expensive for you, the consumer. You have likely seen these carriers on the roadways. Many dealerships utilize auto transport services to get their new cars safely to the dealership. Open auto transport is a great option for the standard car, SUV, and van. However, it is important to keep in mind that it is “open”. Therefore, your car will be exposed to weather and road elements. To limit this exposure, you can opt for Top-Loading or use enclosed auto transport. Anyone can use an enclosed carrier to ship their vehicle. However, this method of auto transport is commonly used by high-end car owners. This would include those who own specialty, exotic, classic, and luxury cars. It is more expensive in comparison to the standard method of open auto shipping, but there are several benefits to using it. Your car will be shipped in a fully enclosed carrier. This means that it will not be exposed to dirt, debris, or a variety of weather conditions, such as snow, rain, ice, and hail. This can help protect your specialty paint job from the external elements. If you are thinking about moving to Oklahoma and shipping your car, read more on Oklahoma Car Shipping. Weather. In Tulsa, you will get cold, and you will get hot. In the summer, you can spend your days by the numerous rivers and lakes soaking up the sun. During the winter, you can expect some snow. Grab the whole family for a day of snowball fights and sledding, or stay inside and sip some hot cocoa. Family-Fun. Tulsa has many family-friendly attractions. One of the most popular destinations is the Tulsa Zoo, located on 85-acres of land. It is a great place to take the children to learn about a variety of animal species. The Oklahoma Aquarium, located in Jenks, is another popular destination. They even have a walk-through tunnel, which provides a unique viewing experience to see the bull sharks. Education. Tulsa is home to several colleges and universities, including the University of Tulsa and Oral Roberts University. If you are looking to continue your education, these are some great options to look at. In addition, if you are looking for a place to walk around, the campuses are beautiful. Even if you do not go to the schools, go out for a stroll around campus. Sports. Within Oklahoma, there are two popular sports teams, when it comes to Football. You are either a Cowboys fan of Oklahoma State University or a Sooners fan of the University of Oklahoma. It’s a state divided. There is also a minor baseball league located in Tulsa, known as the Tulsa Drillers. National Dispatch is a nationwide car shipping company with a company-owned fleet. Many people use our services in the cases of a residential move, corporate relocation, out-of-state auto purchase, and more. We are capable of shipping a wide range of vehicles beyond the standard car, truck, van, SUV, and motorcycle. We offer non-running vehicle shipping services, as well. Many auto transport companies offer a free car shipping quote on their website, but not all car shipping quote calculators are the same. Some companies require you to put in your personal information, such as your phone number or email. National Dispatch is different. We only require four fields of information: vehicle make, vehicle model, pickup location, and delivery location. After putting in tat information, you will get a free quote in seconds. Use our quote form or call us at 800-321-2051 for your free, instant car transport rate. We look forward to hearing from you!